Couples looking for something unique for their wedding need only come to New Ulm. Gorgeous churches are a traditional option, as are many stunning parks and gardens, a historic home, a banquet hall, brewery gardens, and outdoor winery. 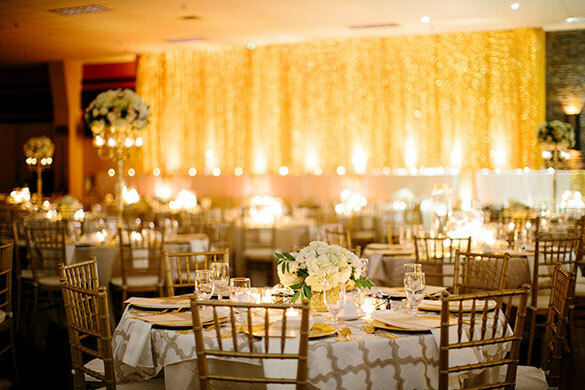 Receptions and dances can be held in any number of locations from spacious hotel ballrooms, a historic social hall, a country club, and a bowling center that will amaze you as it transforms into an elegant reception site. If you want your wedding to be as unique as you are, New Ulm is the answer. Visit our wedding planning website: www.newulmweddings.com! This year-round resource has contact and information for everything you need to plan the perfect wedding! Newly engaged? Don’t miss the New Ulm Area Wedding Show held each fall! Come see the variety of unique reception venues, florists, caterers, bridal shops and more for your one-of-a-kind wedding in Southern Minnesota. Come fall in love with New Ulm as your wedding destination!